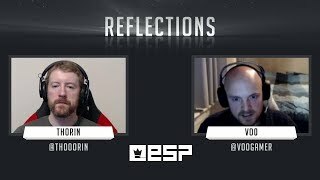 Thorin recently caught up with Vo0 and had him as a guest on his Reflections series. The pair discuss Vo0's history with Quake, CPMA, Pain Killer, Quake Live and Quake Champions. The CPMA tournament he's discussing around 1:38:26 was Winter Shivers 2008. Vo0, the god! Excelent reflections!